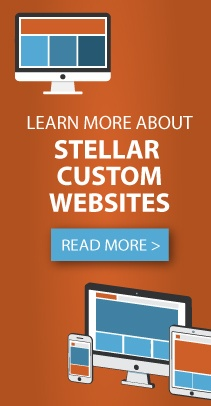 Stellar Blue Technologies, a Fox Valley, Wis. based digital marketing firm, launched a new custom website for the City of Kaukauna. Kaukauna is the proud home to over 15,000 people with its own full-time police, fire and rescue services and also boasts a 350-acre industrial park, complete with rail and heavy truck access. Stellar Blue has been partnered with the City of Kaukauna on a number of projects prior to building them their new custom website. When visitors first come to the website, they will notice the number of search options and details as well as the simplicity of the website’s navigation. Set over a backdrop photo of the city, users can select from a number of icons, information on how to subscribe to the website, pay online, use the suggestion box, the recreational department and latest news in the community. At the top of the homepage is an interactive navigation bar that helps users travel through the website to find the information they desire. There is also a search box and a drop-down menu for trending topics. As users move down the homepage, they will find an event calendar with details on upcoming events and the City of Kaukauna’s Twitter feed. Finally, the homepage concludes with an About Us section and details on how to reach the city of Kaukauna and it’s social media platforms. The new website was constructed to showcase the culture Kaukauna has to offer to it’s visitors. The custom website comes loaded with multiple integrations and features that make the website detailed yet easy to use. With an Elite WordPress Security Package being utilized, the website is secure and protected from multiple angles. WordPress also allows for simple and easy content updates to a multitude of platform pages. There is also a feedback form plugin that will allow the website editors to create feedback forms for contact information, volunteer forms, etc. to be placed on created content pages. Another feature of the website that will play a part in highlighting the city of Kaukauna is the blog integration. The website has a multitude of interesting features and pages that are sure to show off the city of Kaukauna!